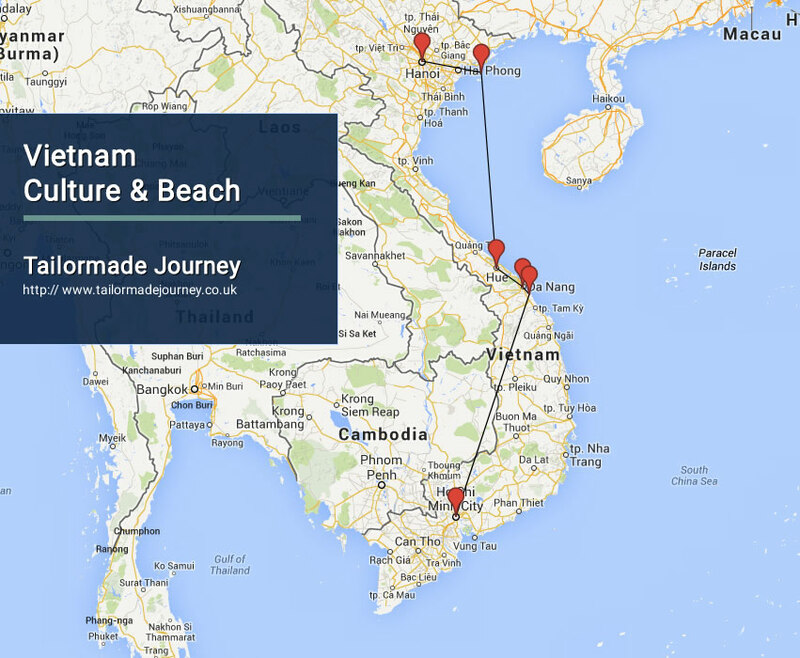 Embark on a Week holiday to see the glimpse of Vietnam. Visit Cu Chi Tunnels in Ho Chi Minh, Nha Trang Beach, do Halong bay Cruise, Explore Hanoi City. Arrive Ho Chi Minh City 1 Nights > Flight Nha Trang 2 Nights > Flight Danang > Drive Hoi An 1 Night > Drive Danang > Flight Drive Hanoi 3 Nights & Leave. Overnight Stay at the Hotel in Hoi An. Situated in the Tonkin Golf, Halong bay is one of the world’s natural wonders – a bay with more than 3,000 islands, which time, wind and waves have sculpted into fantastic shapes. The best way to appreciate this magical scene is from a boat, cruising between these karst cliffs, which loom like fairy-tale castles, complete with rocky spires and hidden caves. The bay is dotted with tiny islands, pristine sandbanks on the turquoise water providing an excellent backdrop for swimming or just lazing about on the junk boat. This morning city tour, we drive to Ho Chi Minh’s complex, including the mausoleum of the nation’s founder and leader. Here, large crowds gather to pay there respects to the man they simply call Uncle Ho as they silently file past his glass sarcophagus. The Presidential Palace and Uncle Ho’s wooden stilt house can also be seen here. One of must-see places in the complex is One Pillar pagoda dating back 11th century. The next stop is the Temple of Literature, the site of Vietnam’s oldest university and dedicated to one of the world’s most famous scholars, Confucious. Free in the afternoon. Today you are transferred to Hanoi Airport to board flight for Onward Journey.